The German Family Association (DFV) is a national alliance of families, whose interests it represents on the communal, i.e. national and federal level. It is non partisan and not tied to any religion and membership is open to all families in Germany and all those interested in the welfare of the family. It was founded in 1922 as the first citizen's initiative for and with families, and is to be understood today as an honorary, self governing representative of engaged families, who locally create the basis of the association and self consciously advocate for family interests. The DFV advocates a policy, that places the family in the focus of social-political acting and recognises its achievements. The engagement of the DFV is thereby traditionally aiming at the fields, which most often influence the everyday life of families and the decision to lead a life with children: the economic situation, housing , pensions and the compatibility of family and working life. As a lobbyist for the family, the DFV takes influence from the family relevant legislation of the federal states and the countries for example on the issue of family allowance , the calculation of caring/educational years in pensionable years as well as issues in the area of housing policy. In 16 regional and many local and district associations active and engaged work of the DFV is taking place. A rich program on action, advice and offers of help as well as the leading of family regeneration and family education seminars, partly in their own houses, are components of this engagement. The Protestant Working Group Family (eaf) is a collaboration of protestant social institutions, associations and national working groups, who engage themselves with the concerns and requirements of families. The purpose of this collaboration is the collective advising and representation of social, economical, legal, pedagogic and ethical questions in family policy as well as the furtherance of family advice, education and regeneration. 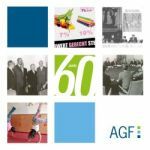 Since its founding in 1953 the eaf has pursued and influenced the developments in all policy areas relevant to the family, as well as economical, occupational, apartment and educational policy. 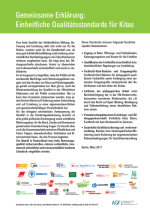 The eaf is a contact partner and lobbyist for family issues and involves itself in constant exchanges with experts inside and outside of the church, organisations, associations, academic institutions, federal and national ministries and with parties and parliamentary groups as well as the commissions of the German parliament, all in pursuit of this purpose. It does not offer individual counselling. In 1953, nationwide more than a half a million catholic families collaborated to form an interest and action committee: The Catholic Family Association (FDK). The ideal behind this collaboration was and remains today the conviction that in society families can and must actively participate and undertake responsibility, in order to receive the necessary ideals and material recognition. The Catholic Family Association is today a non partisan, recognised family political expert association. It advocates on all levels of politics, state, church and society to realise family tolerance, social justice for families and for the central meaning of marriage and family. Thus freedom of choice and compatibility of working and family life are the applicable principles that the association tracks. The national committee headquarters in Berlin acts as the representative of interests in national policy. The 25 diocese and 10 regional alliances of the family alliance engage themselves in family policy on a national level and additionally, they are active in family education, family advice and family regeneration. 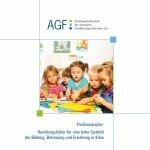 Caritas and Kolpingwerk compose just two of the 15 member alliances of the FDK. Single person membership of families and groups of families are usually only possible in the diocese alliances. The Association for Single Parents (VAMV) was founded in 1967, in the schwabian Herrenberg, by Luise Schöffel as an association of single mothers. Today approximately 9.000 members nationwide promote the interests of over 2 million single parent families, from families therefore, in which, single, separated, divorced or widowed parents live with their children. It also deals with the claims of children in newly formed families, as long as they are income supported by their father or accordingly their mother. VAMV is composed of and organised by active and independent people, who care for their children on their own. It is a family and woman alliance. Its political work is directed towards the furtherance of equal rights for single parent families and women. Single parents face exactly the same problems experienced by other mothers and fathers, such as caring for their children and organisation of family life and the securing of their material existence. The VAMV works on the premise of "help to selfhelp". That means that all members will be active, within the framework of their own personal possibilities and they will campaign for the recognition and improvement of the situations of single parent families. The Association of Binational Families and Partnerships iaf e.V. is, since 1972, the contact partner for the concerns of couples and families, who live a binational/bicultural everyday life. In the years of its existence it has developed from "the interests of the community of women who are married to foreigners" to an intercultural family union that is working as a non profit organization in 25 cities in Germany. In the mean time in Germany, every seventh marriage is a binational connection. The alliance campaigns for the social and legal equality of treatment of people, irrespective of their skin colour and cultural origin, and advises women and men in all questions pertaining to a binational relationship. The alliance gives advise pertaining in particular to legal questions (marriage, leading a family together, child immigration, citizenship etc) , with conflicts within partnerships and child custody problems (crisis, separation/divorce, supervised contact, removal of children), and regarding questions on intercultural relationships (speech therapy in pre school area, multilingualism, intercultural play materials, prejudice free upbringing). In their educational offers, multilingual upbringing, working together with parents from intercultural ways of life, handling of discrimination and racism, questions pertaining to interreligious partnerships as well as the qualifications for a citizenship engagement are at the forefront.